The Ginny Office Chair means business. With a chic silhouette, classic design and user friendly features. It gets the job done in the most stylish way possible. Match the piece with a designer desk from our range. The Ginny is made for working in comfort as well as style. 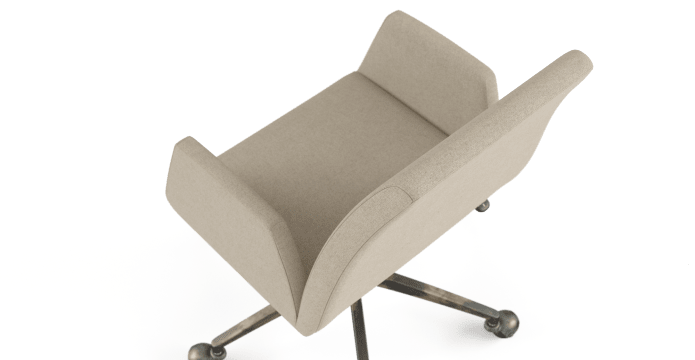 Featuring a soft padded seat. 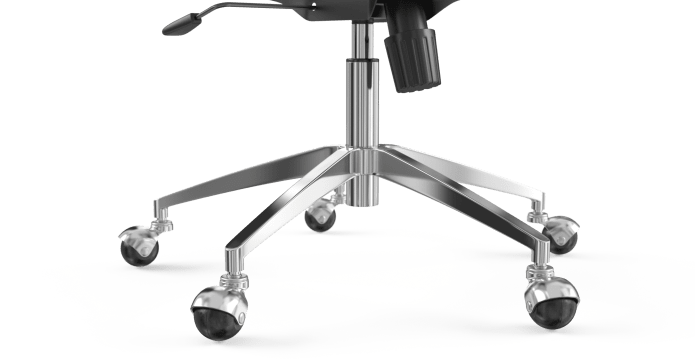 Adjustable swivel base. And four wheels to move around as you need. Pick your colour from our contemporary selection. Brosa Classic fabric has a super smooth touch. And is engineered for high quality and low maintenance. Match it with a black, brass or silver base. 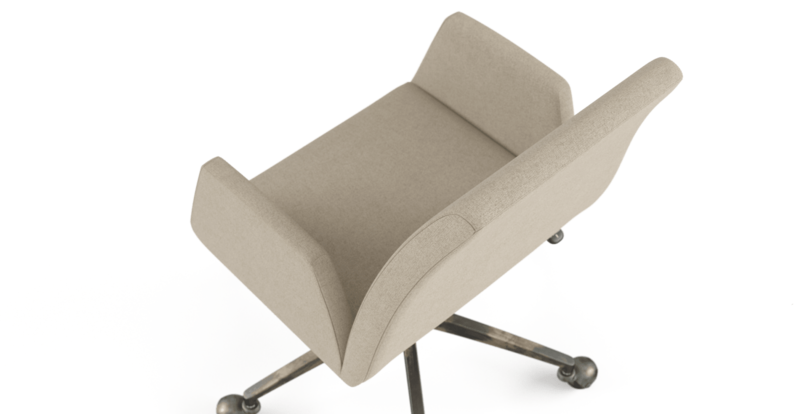 Take the stress out of work with the Ginny. An easy match for any setting, it brings sophistication and style to a room. 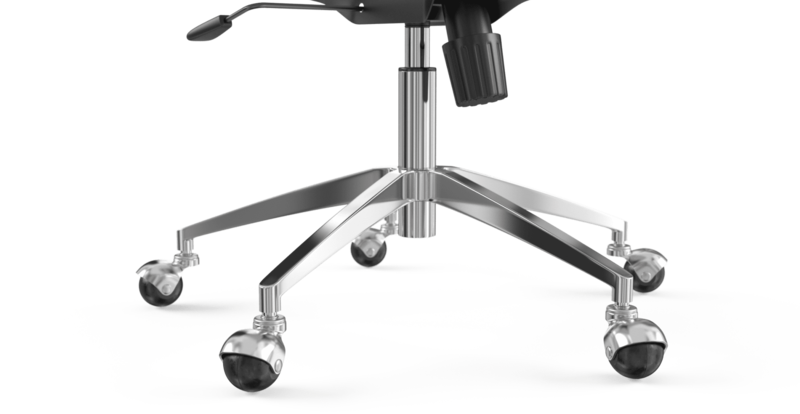 See more designs from our office chair range. We recommend putting no more than 120kg on the Ginny Office Chair. 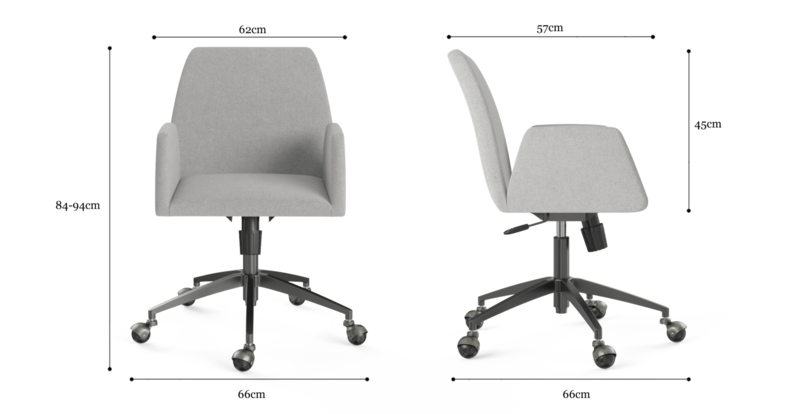 See, touch and feel our fabrics used on our Ginny Office Chair. For Free! Simply select up to 3 fabrics and add them to your cart. Delivery is on us.